Welcome to my garden mini series, phase three. We are in full swing of spring/summer activities and attempting to make our backyard beautiful. 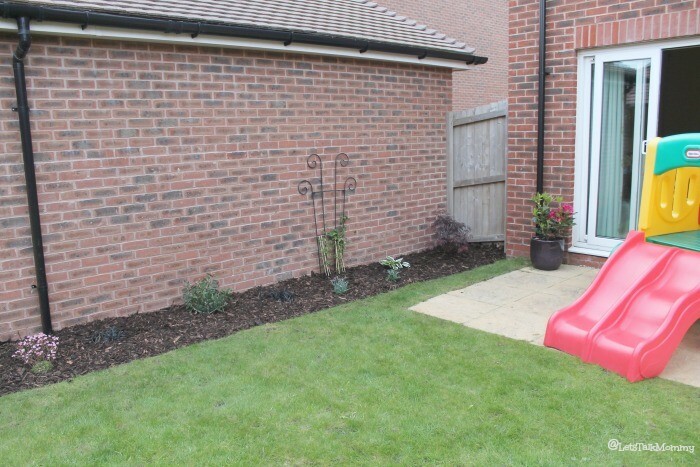 DIY landscaping is not highly recommended when you are planning a 1st birthday party, a christening, a 3rd birthday, and a two month trip abroad but if you have the time it can be a great adventure. Mr P and I took on this project as we were sick of looking at grey fencing, a new erected brick wall behind us, and swampy grass. So far, in phase one, I have given the fence two good lickings of stain, cut out a border, and cut three semi circles, to give it some shape. I also added a few touches to the front yard, some beautiful hanging baskets, flowers around the front tree, and a few pots. In phase two, we added topsoil to our border cut out, black tarp to keep those pesky weeds away, and startied plant shopping and planting. In phase two, you would have also seen my many exciting tweets and IG photos of my new willow tree. I have always wanted one. 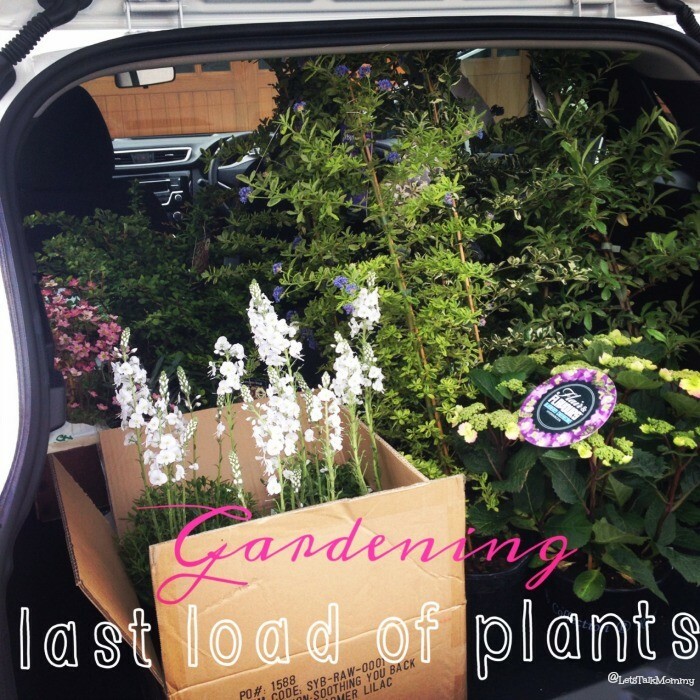 I finished the plant shopping. I never thought I would think that it could be so much fun picking out various colors, shapes, sizes of plants, shrubs, trees, and flowers. I was getting really technical too with what color flowers would bloom next to each other and what colors the leaves would be in the winter, next to each other, as I wanted a great variety throughout the year. It’s hard to tell now, as not many have bloomed yet but I can’t wait until they do, so I can get so much needed photography practice! So I set to work in phase three getting all these beautiful plants in the ground before the weather turned on me. We bought some bark to spread around our beauties, as I have always liked this look. I added three semi circle, raised flower beds using stone. Its hard to tell in the photos, but each circle is raised higher than the rest of the garden. I did get a little short on bark so there is still work to be done. I also included this photo, because even though it looks finished there will always be bits you need to add, change, or continue to do. 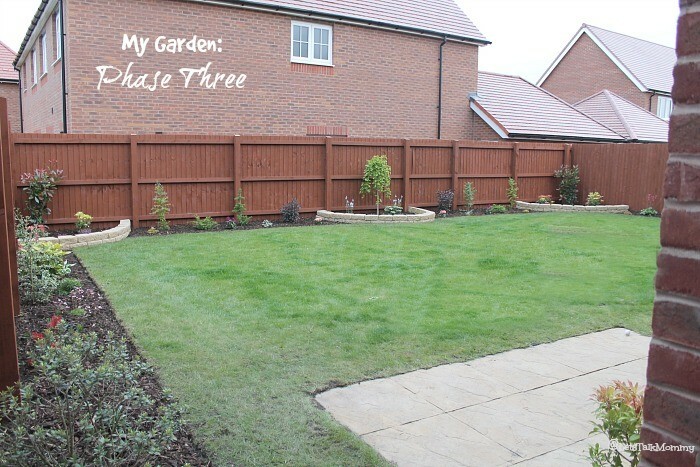 I planted two black grass shrubs, excuse the newbie gardener she doesn’t know her botany! I thought the bark would be lighter and they would have a great color contrast. The bark was dark, and as you can see or not see for that matter is they blend in. 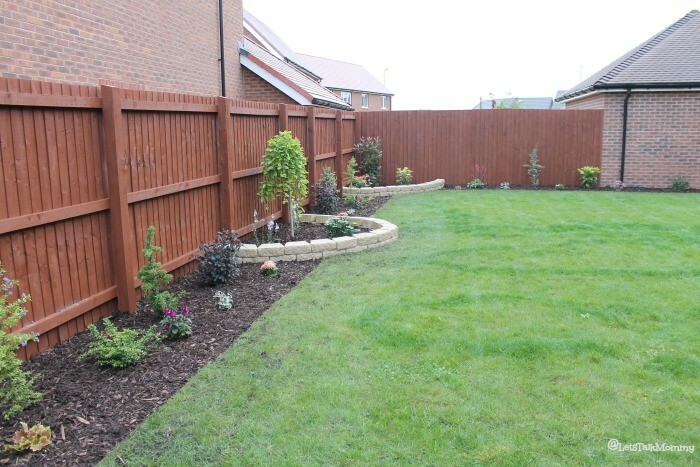 So in phase four, I will be replanting these elsewhere and getting something more vibrant to replace the black grass. My ivy is growing faster than I thought, I am really excited about it twisting and twirling around my black iron trellis. I planted a few of these in big pots on the patio. I just love the gorgeous colors and how big they get quick. Although they do attract the bees which I am allergic to but thats worth the risk to have these beauties to look at. 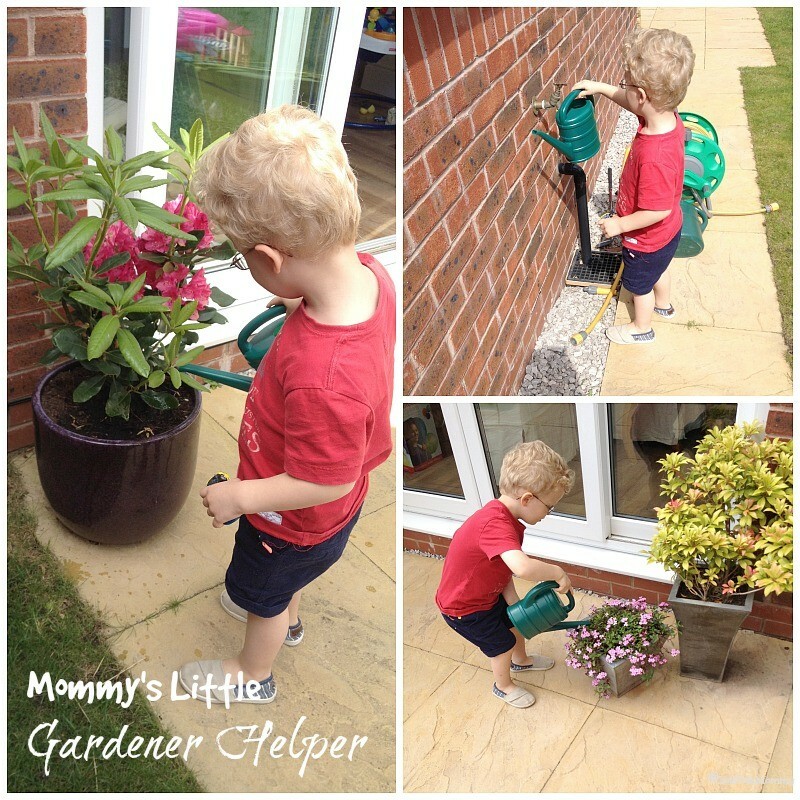 What’s a family garden without a little garden helper? Buba, even picked out his own watering can at the pound store the other day. He kept saying, “I want one that matches Daddy’s”. Yes, you heard correctly, Daddy’s. He is the water boy in this house. I did the heavy lifting, digging, planting, organizing, and numerous trips to the garden center, I know touch life, he can water and weed them! 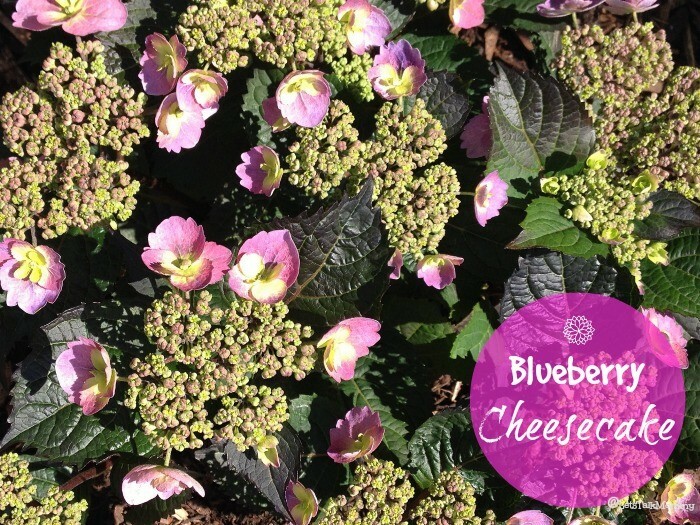 I actually bought this before it bloomed and it wasn’t amazingly gorgeous, but I loved the name blueberry cheesecake. What’s not to love about that? But I am so pleased I did because when it bloomed it was stunning. This photo doesn’t even do it justice. Mr P is a very outdoors kind of man, so he was ever so proud of his wifey’s handy work, even if it was amateur work. And he did put a few hours of sweat into it as well! Yes, my stones are a little uneven, some of the plants blend with the bark, and one piece of the fence got forgotten in the staining process, but overall I was proud of what I have done so far. This has also become my favorite new spot to read, have a midmorning snack while the kids nap, and enjoy my handy work. It was a lot of hard work but so worth it in the end. But my mini garden series isn’t over just yet. Stay tuned to see how I bring this grass back to life, and make it something the green keepers at the country club would be jealous of. Not to mention, some more shopping for some outdoor living and garden accessories, I am so excited to share with you all. You haven’t seen the last of this garden either, as my new friends start to bloom, I will be capturing them all here. I know I am about to hit the days where there is no naps and a baby that will be walking soon and won’t just lay next to me while I do things. I know I will miss the young days. Yes, I think you are so right. I am loving being able to practice my photography on the flowers as they bloom. So yet another addiction coming out photography! lol I need to get better at close ups and detail. Thanks I am enjoying it. Not finished yet. Stay tuned. They are my favorite thus far in my garden. 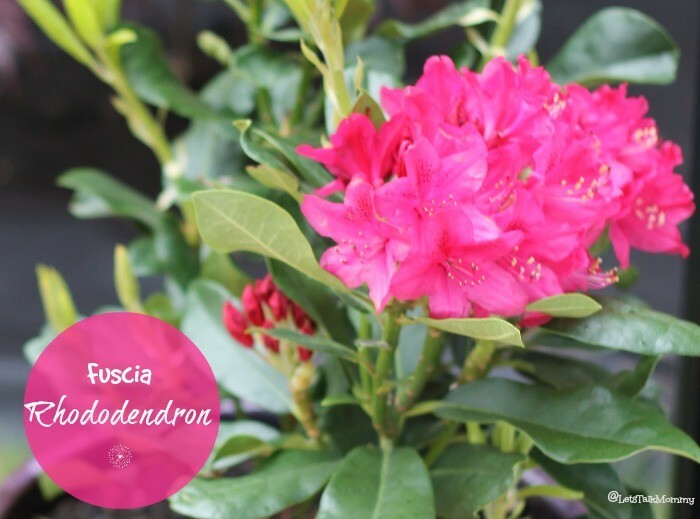 I love a good big pot of them on each side of the patio. Wish they bloomed all year. Thanks hun. It’s all looking good now! And you have me wanting a Blueberry Cheesecake! Oh it looks fab. Well done – all that hard work has paid off. I too love the name Blueberry Cheesecake! Thanks Annie, yes it’s nice to look out the kitchen window and admire my handy work instead of just a grey old fence. Can’t wait until things start blooming big and I can share it all. Thanks for hosting. Thank you so much. Still lots to do like fix the grass and get it healthy and green again. 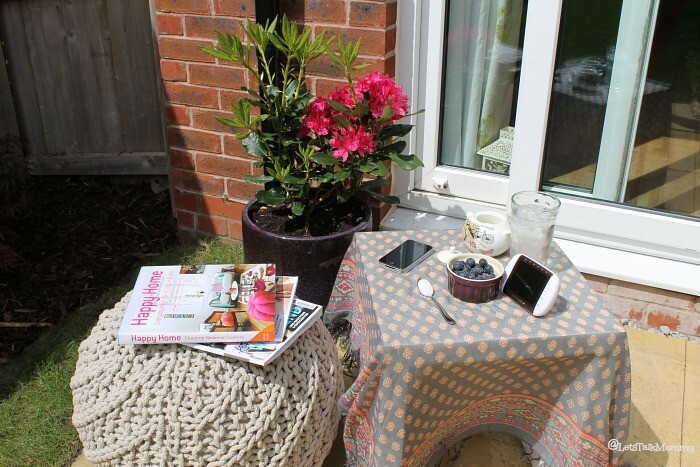 Buy outdoor living furniture and a few garden accessories too. hahaha So stay tuned. 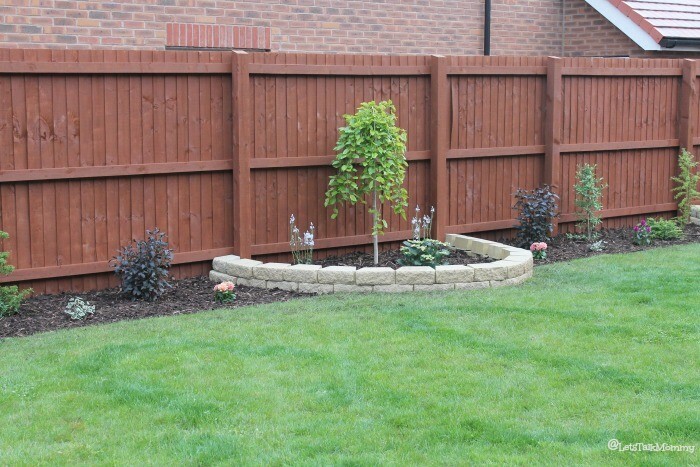 Jenny, you’re making such a lovely family garden – the plants look great. And I love that the tap is low enough for little ones to do the watering! Look forward to more pictures of your fab project. Glad I am not the only forgetful one and husby eye rolling going on. I have no clue about plants either. Still trying to learn names!! Oh I can’t wait. You have me so intrigued now!! You’ve done so well, lovely. You inspired me to get out in my garden today but I had so much trouble identifying the weeds from the flowers. I’m useless. I think our garden’s really quite similar to yours – we live in a two year old new build house but were renting it out while we were in Switzerland. I confess that I’m about to cheat ever so slightly as I’ve called a gardener friend and asked him to pop round this week to give me a little help. Always nice to cheat. It was really hard work I don’t blame you. Seems like all new builds are similar behind. Although an easy canvas to work with. Glad to inspire. You’re completely amazing! This looks just beautiful and what a gorgeous place to relax and admire your handiwork. I love a willow tree too….one day, one day…. Yes I am so pleased with it. And the nice weather that has come for me to enjoy it! Amazing. Still a little work on furniture shopping and getting the grass greener and healthier. 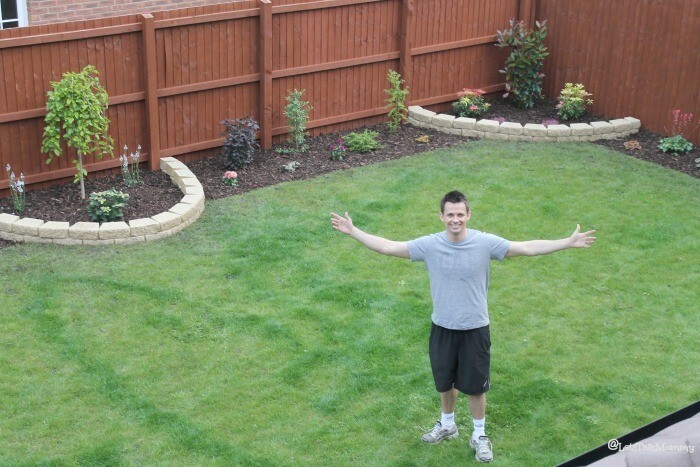 Well done the garden looks amazing! Did you fancy coming and trying mine? Thanks hunny I am so proud of it. Yes hope the weather stays nice for it. Oh thank you ever so much for going back and having a look darling. That’s so sweet of you and what a lovely thing to do. I am glad you like the finished results. I need to do a garden tour this summer when I get back to the UK as everything is a lot bigger and in full bloom now.